Mega Magosaburō Nagamune is one of the figures from the Taiheki. 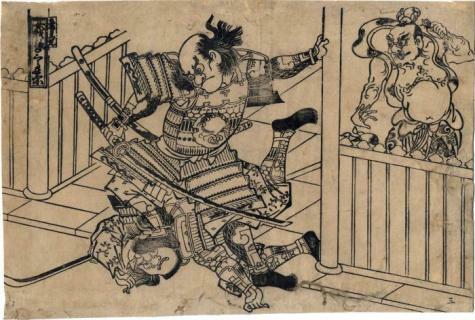 "The Buddhist world of medieval Japan can only be described as chaotic. It was conventionally portrayed as a conglomerate of different schools (shū 宗), such as Tendai, Shingon and the six Nara schools, but these schools were little more than nebulous networks of competing lineages, concentrated in competing temple complexes. In the case of the Shingon school, the Tōji, Kōya-san, Tōdaiji, Ninnaji and Daigoji temple complexes were the most important." This is quoted from The Culture of Secrecy in Japanese Religion, essay by Mark Teeuwen, p. 182.